My main interests are in ecology, taxonomy, diversity and biogeography of limno-terrestrial and aquatic diatoms (Bacillariophyceae) in polar and sub-polar region with a recent focus on paleolimnological research in Maritime Antarctic region. 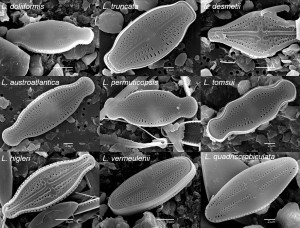 Diatoms (Bacillariophyta), eukaryotic unicellular algae characterized by silica frustules, are one of the most diverse and abundant algal groups in Antarctica, present in almost every freshwater and terrestrial habitats (i.e. ponds, lakes, seepage areas, wet mosses and soils). 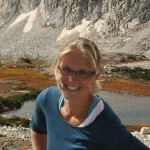 Their species-specific morphological cell features, unique responses to different environmental conditions, and their very good preservation in lake sediments make diatoms excellent environmental indicators, useful in reconstructing climate changes and studying microbial species range and dispersal. Lake sediments can be used to reconstruct the past by analyzing combinations of physical, chemical, and biological variables. However, polar lakes represent sensitive indicators of environmental changes, the impact of these changes on the development, composition and diversity of the microbial communities in these ecosystems, remains still poorly understood.